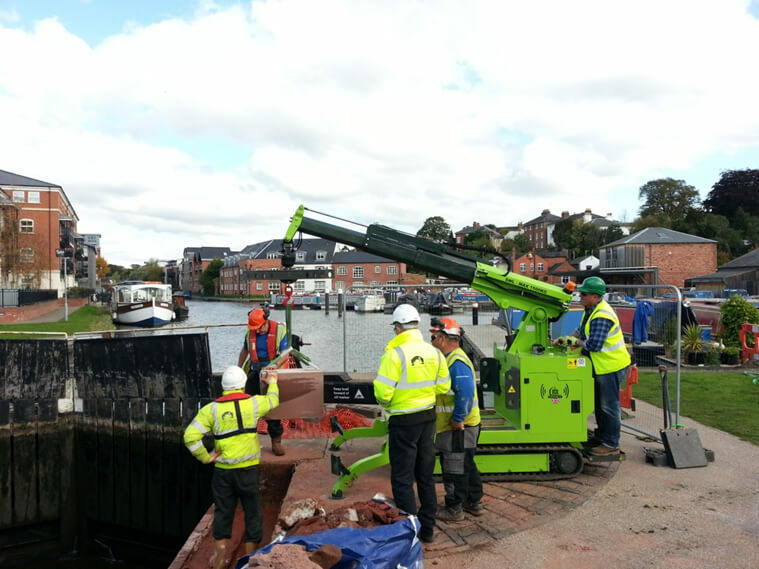 The Hooka has just helped out on a major 10 week project with the Canals and River Trust – refurbishing the Worcester basin lock. 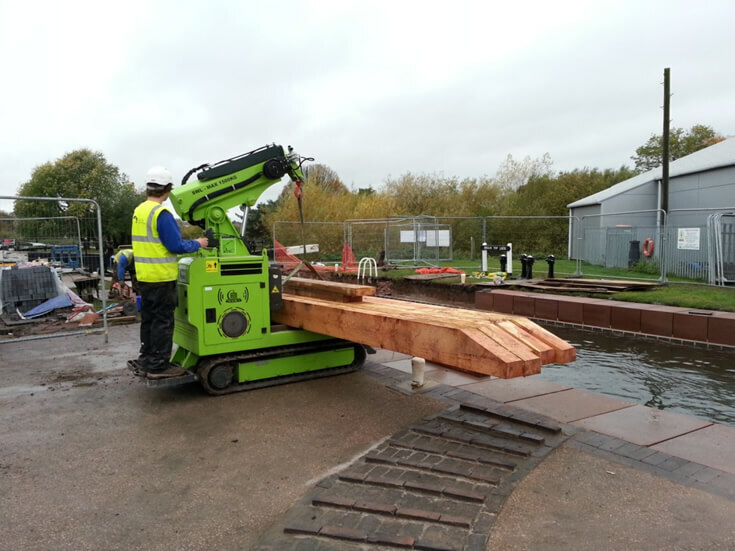 At only 1 metre wide, but with her stable track base and unique Load-lock technology – which guarantees machine stability by physically ‘locking’ the payload to the machine – she had no problem tracking on the narrow / uneven towpaths. 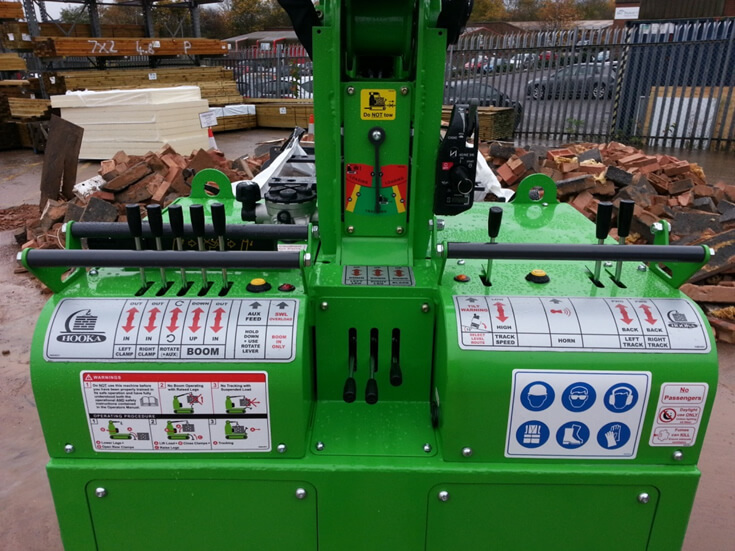 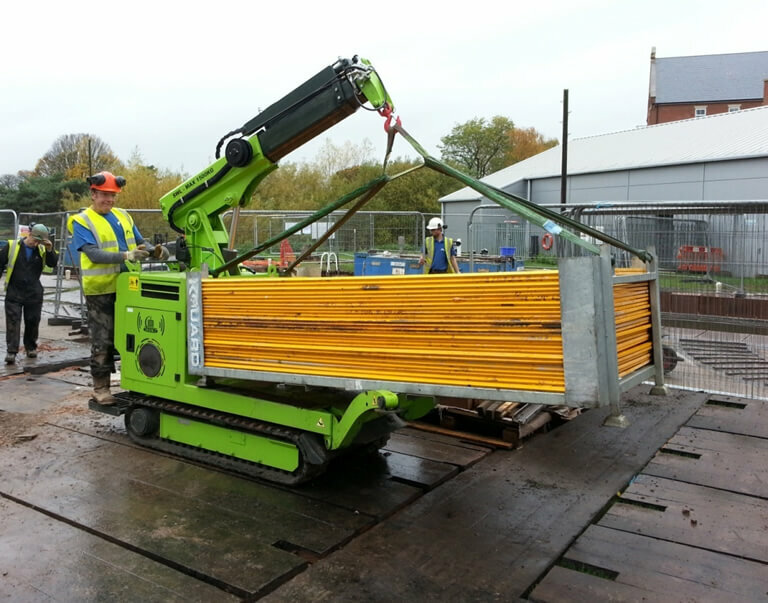 Her duties including unloading bulk materials and pallets of bricks that had been delivered to site and moving them direct to their ‘point of use’ – saving double handling, manual lifting, time and money! 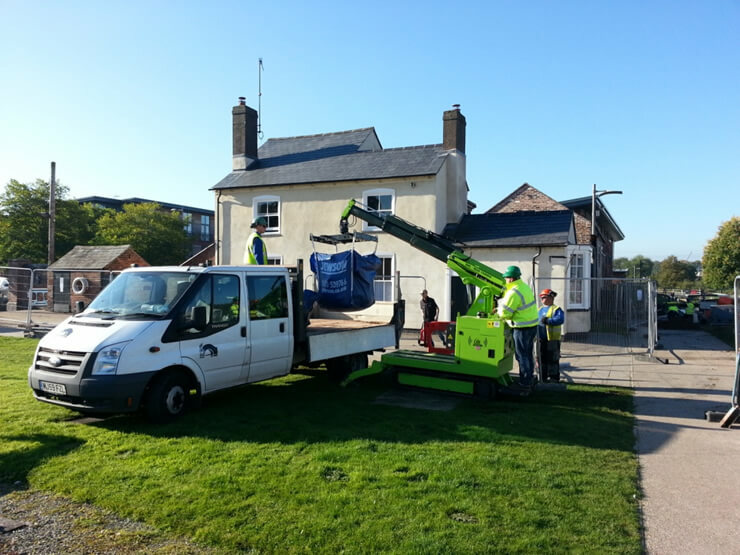 The old broken up stonework was carried away by the machine in dumpy bags and transferred straight onto the CRT waste away tipper truck. 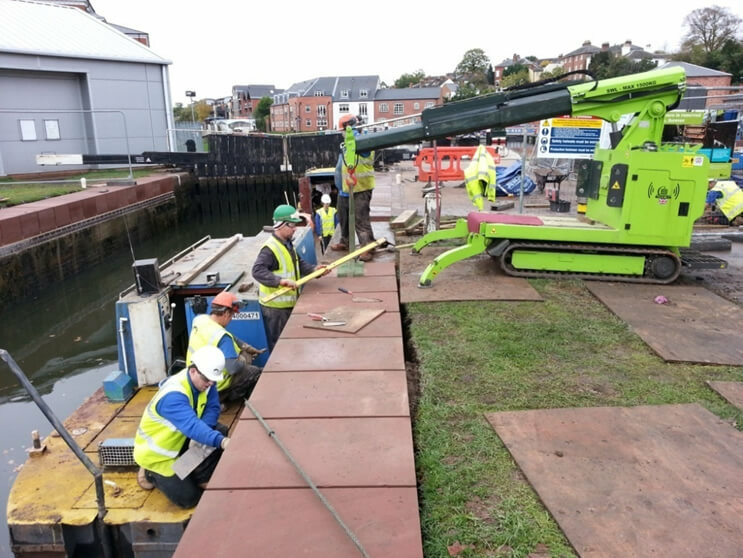 Replacement 350Kg coping stones were then installed with the Hooka transporting them to the edge of the canal then carefully lowering them into position alongside the CRT rigger team. 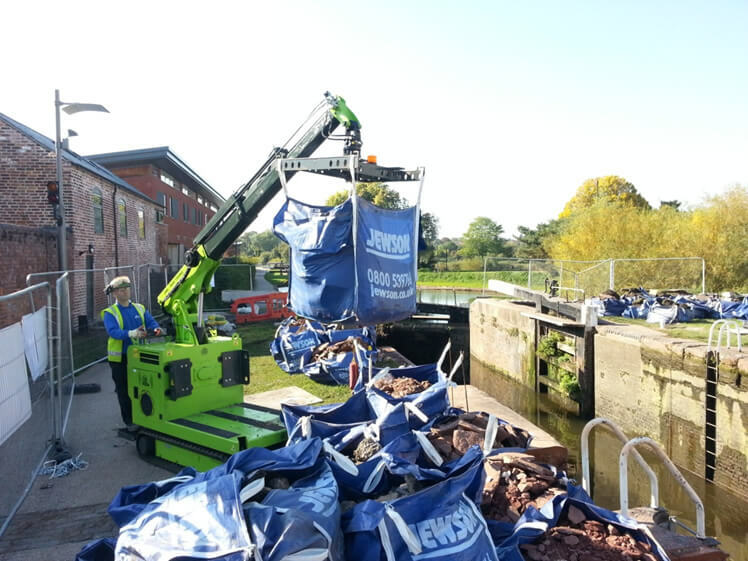 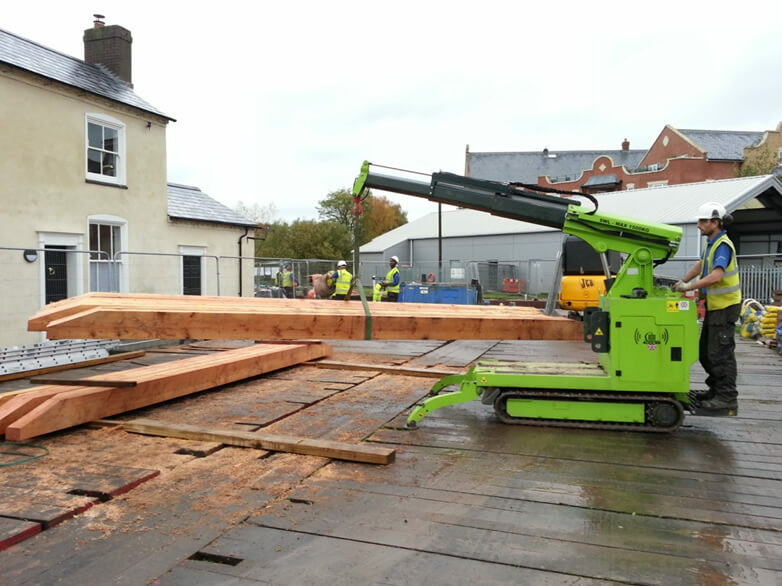 Her versatile lift and carry capabilities were a real bonus and she was constantly saving on manual handling, helping to minimise HSE bad back risks and moving materials as diverse as 650kg packs of 8 metre long canal damming timbers and 500Kg packs of Harris fencing.